﻿ Pike Lake State Park - Ohio. Find It Here. 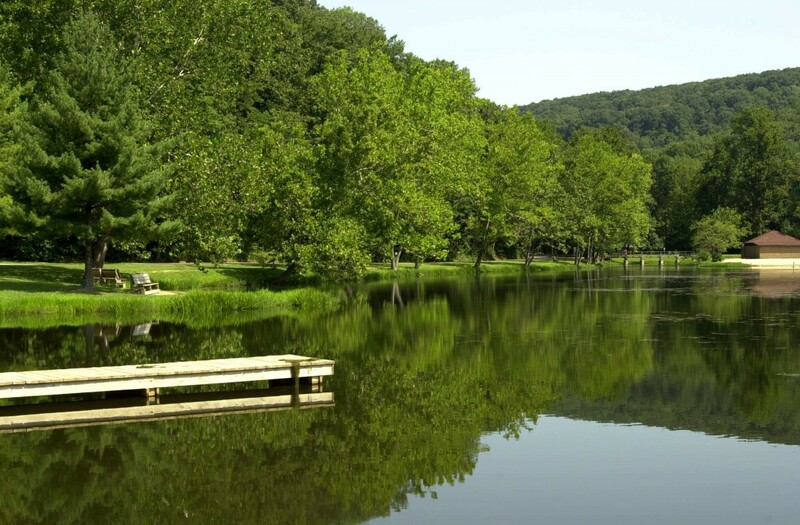 587-acre Pike Lake State Park is located in the midst of the scenic wooded hills of southern Ohio. The small 13-acre lake and surrounding state forest contribute to the park's rustic charm.Pike Lake region is located in the unglaciated portion of the Appalachian plateau in Ohio. As the Appalachian Mountains were uplifted, this plateau was created west of the new mountain range. The plateau marks the boundary between the hilly eastern section of Ohio and the flatter western portions. Just thirty miles west of Pike Lake, the terrain changes dramatically from forested hills to rolling farmland.